Patch notes for Ubisoft’s open beta for the company’s early-March shooter The Division have some good news for those who tried the game’s recent closed beta and saw some flaws in its promising quasi-player-vs-player Dark Zone section. 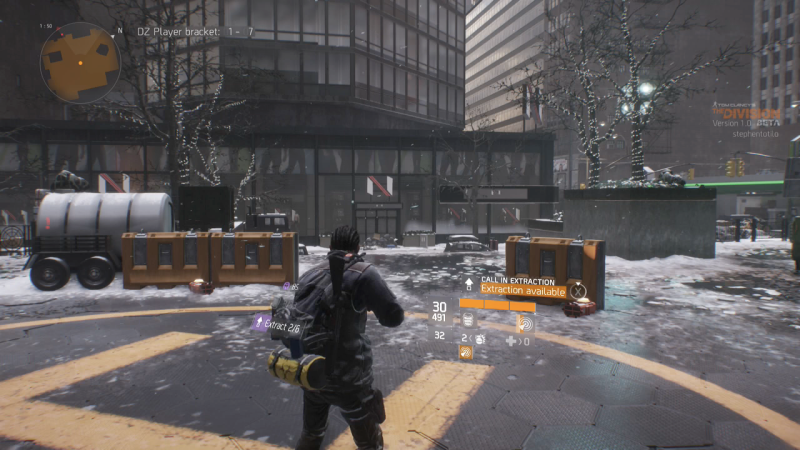 The notes indicate, among other things, that the Dark Zone will have more enemies and give a little more feedback about which fellow players you should be wary of. That should help with the main complaints we and some of you had coming out of that first beta. To catch those of you up who haven’t played the game, the main part of The Division involves the player patrolling the streets of New York City shortly after a bio-chemical terrorist attack. The streets are fairly empty of civilians, but rioters roam the avenues of Manhattan. As you roam through, you take cover and do a lot of shooting. You can play in co-op and collect loot as you shoot, which is one of the reasons the game is drawing comparisons to Bungie’s popular shooter Destiny. The most interesting part of The Division may well be the Dark Zone. That area encompasses more treacherous blocks of virtual NYC where players who encounter each other can team up or, if they’re more devious, shoot each other. Shooting other players, rather than helping them, is called “going rogue.” It triggers a bounty system but also is a risky but rewarding way to grab loot from other players. You can find out more about that in our impressions of the first beta, but what you’ll also find in various articles and comments sections about The Division are complaints that the Dark Zone was too desolate, too devoid of enemies and was too inscrutable in terms of who was friend or foe. These changes address that. The open beta starts on February 18 for Xbox One players, a day later for those on PS4 and PC. It’ll run through February 21. It’s always nice when a beta isn’t just marketing and leads to improvements, no?